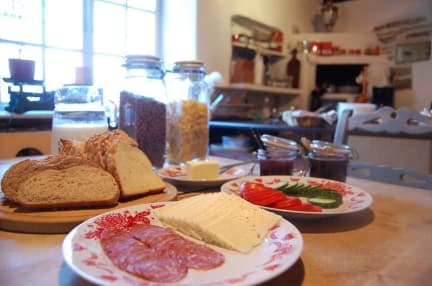 Tabinoya - Tallinn's Travellers House offers both private and shared rooms right in the middle of Tallinn old town, 100m away from the town hall square and best restaurants in town. Also we are one of the hostel closest to a hip district Kalamaja and Telliskivi where local people gather. A perfect place for the travellers who are looking for a cosy and laid back environment to stay. An authentic old town building full of wooden decor is certainly one of our key features which makes you unhurried, relax and our private Sauna is available (paid service) to all of our guests! 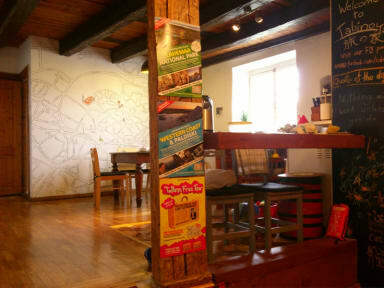 Tabinoya Hostel is wonderfully located in the center of old town and has amazing hosts that are very pleasant and funny.We booked a double room but were actually upgraded into this apartment just below the Hostel, with kitchen, private bathroom and even a living room with tv... Without any extra cost,just out of niceness. Needless to say it was all very clean and neat. The wi-fi was working perfectly fine. Simple but good breakfast. It is not a party Hostel as they describe, rather a cozy one!